Anand Srivastava, MD, MPH, assistant professor of Medicine in the Division of Nephrology and Hypertension, was a co-author of the study. In patients with chronic kidney disease, higher levels of urinary oxalate excretion were associated with a higher risk of disease progression, according to a study published in JAMA Internal Medicine. One in 7 Americans have chronic kidney disease and may experience the progressive loss of kidney function. Oxalate is a compound found in many foods and also a natural end-product of metabolism. However, previous research has shown that extreme levels of oxalate in the body — whether due to rare disorders, metabolic factors or other reasons — can cause kidney damage. In the current study, the scientists wanted to understand whether mildly elevated levels of oxalate — even within normal ranges — in patients with chronic kidney disease were associated with a higher risk of chronic kidney disease progression. The team of investigators measured oxalate excretion in 24-hour urine specimens obtained from 3,123 patients with common forms of chronic kidney disease. They found that higher urinary excretion of oxalate was associated with a higher risk of chronic kidney disease progression over time, independent of other clinically important risk factors. The findings help further understanding of the origins and progression of chronic kidney disease, and may also offer potential new approaches to therapy. 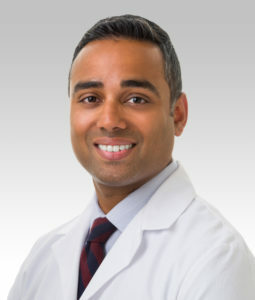 “If these results are confirmed and show that higher urinary oxalate excretion is a novel risk factor for chronic kidney disease progression, then future research on methods to reduce oxalate absorption and/or generation through the use of medical therapies or dietary measures will require further investigation,” Srivastava said. The study was supported by grant R01DK103784 from National Institutes of Health (NIH)/National Institute of Diabetes and Digestive and Kidney Diseases (NIDDK). Funding for the Chronic Renal Insufficiency Cohort Study was obtained from grants U01DK060990, U01DK060984, U01DK061022, U01DK061021, U01DK061028, U01DK060980, U01DK060963, and U01DK060902 under a cooperative agreement from NIDDK. In addition, this work was supported in part by Clinical and Translational Science Award NIH/National Center for Advancing Translational Science UL1TR000003 from the Perelman School of Medicine at the University of Pennsylvania, grant UL1 TR-000424 from Johns Hopkins University, grant M01 RR-16500 from the General Clinical Research Center, University of Maryland, the Clinical and Translational Science Collaborative of Cleveland, grant UL1TR000439 from the National Center for Advancing Translational Sciences component of the NIH and the NIH roadmap for Medical Research, grant UL1TR00043 from the Michigan Institute for Clinical and Health Research Center, Clinical and Translational Science Award UL1RR029879 from University of Illinois at Chicago, grant P20 GM109036 from Tulane Center of Biomedical Research Excellence for Clinical and Translational Research in Cardiometabolic Diseases, and grant UL1 RR-024131 from Kaiser Permanente, NIH/National Center for Research Resources, University of California, San Francisco, Clinical & Translational Science Institute.